Whats in your lunch bag? Do you make lunches to take to work, or buy pre-prepared meals from the supermarkets or shops? It can be so easy to grab something on the go while you're working, but when you add up all the extra money you spend it hardly seems worth it. Not to mention all the additional wastage with packaging. Making your own lunches to take to work could not only save you money, but also save you calories as well. I have put together a selection of my favourite, healthy take to work lunches to give you some ideas, as well as all the tips and tricks to boss your packed lunches. 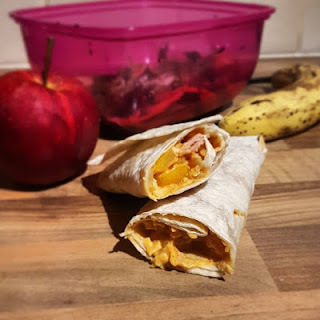 There's much more to lunches than tired old sandwiches, so I've put this post together to give you all of my best tips and tricks, as well as some tasty recipe ideas. Taking the same food into work every day can make lunches boring an unappetising. I always spend some time at the weekend researching ideas and coming up with a meal plan. Have a look on my Pinterest boards for some tasty lunch inspiration from all around the web. Never waste leftovers from the night before! A lot of the time you can take them in to work for a super heart lunch the next day. I always like to cook a little extra, just so I have the possibility of a leftover lunch. In order to make the most out of your lunches, you need to get all the right 'kit'. Having worked in offices I know that it can be tricky to find cutlery in the communal kitchen, so it's always good to get some reusable cutlery. You should also look into getting the best possible lunch bag, that has insulation to keep everything cool and fresh, or one that unzips to become a place mat and allows you to eat at ease wherever and whenever. Make sure that you also have a decent reusable water bottle, to avoid buying water bottles and contributing to plastic wastage. I also avoid using things like cling film or tin foil, in favour of a more reusable sandwich bag. Better for the environment, as well as better for keeping your food fresh until lunch time. 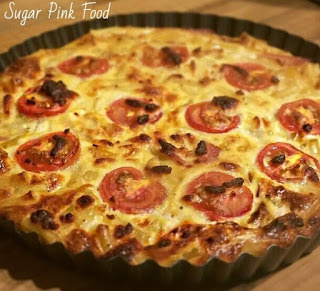 I love this crustless quiche recipe! Really easy to make and delicious! 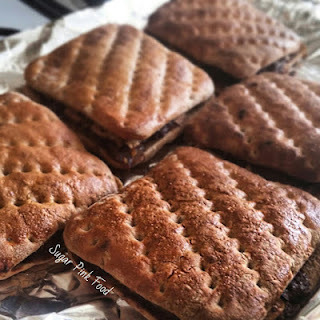 These steak bakes are perfect to make up in a batch at the weekend, and take into work for lunch the rest of the week. This bacon and cheese sandwich filling can be made up ahead and used all week. It is super delicious, as well as being low calorie. Great for the reusable sandwich bags!